Raymond Reddington is the main character in one of my new favorite T.V. shows, “The Blacklist”. Red is the kind of guy that if you were playing monopoly with him, you would look down and notice he has in some way manipulated you into trading away all of your properties for a pair of utilities and a stack of $1’s. He is a master manipulator and knows exactly how to get what he wants. Is he a good guy? A bad guy? He is both and neither all at once. As he says in the Stewmaker episode, “I only do what is best for me." ​How Does Raymond Reddington Dress? ​What Kind of Suit Does Red Wear? Red’s style is very much like his personality. Very smart, sharp and confident. I think the costume designer did excellent work to match character to style. Red typically will wear a three piece suit consisting of suit jacket, pants, suit vest and tie. On occasion Red will substitute his suit jacket for a windbreaker or long black coat. In addition, Red will often wear a fedora, gold frame cognac lens aviator sunglasses and made complete with stylish dress shoes. Please check out the purchasing guide above and we will get into more detail on how to dress like Raymond “Red” Reddington - and also help give you a few ideas on how to compile a "Red" costume. Red’s trademark style is an unbuttoned, stylish, three piece suit. Red dresses sharp and he has some really nice suits, so it is really important to make sure that you are getting a quality suit and not some frumpy thing made in the 90’s. You do not need to go to a fancy Men’s formal wear store to get a nice suit these days. I recommend​ this three piece suit. These suits come in five different colors and feature the three key pieces - jacket, pants, and vest. Another thing I like is that the suits are considerably inexpensive when considering how expensive some name brand suits can get. Another option is this Calvin Klein three piece suit. They offer a name brand while still keeping cost down. You can also mix and match and buy the three pieces separately. Often Red will wear a vest that is a different color than his suit and jacket. For this look I suggest getting a two piece suit like this Kenneth Cole suit​ and this Perry Ellis black suit vest. When it comes to choosing a shirt, I would suggest going with a light color shirt like light blue, white, or white with blue pinstripes. Red wears dark colored suits so his shirts are always a light color. My top choice is this Tommy Hilfiger pinstripe shirt. I also like this white Calvin Klein button up​ as well as this Van Heusen for the light blue option. When Red is not wearing a suit jacket he is often seen wearing a blue windbreaker or a long black jacket. Red’s long black jacket is a black trench coat and the best match I have found is this London Fog Coat​. This is not an exact match but is very close. ​The exact windbreaker he wears on the show is a Lora Piana Traveler windbreaker sold by Neiman Marcus. This jacket is extremely expensive and is often out of stock so I do have a few, while not perfect, acceptable alternatives. My top choice is this Izod Anorak jacket. I think this is about as close as you will get to his jacket without spending $2,000.00 on the actual jacket worn on the show. It is not a perfect match, the buttons on the Izod jacket are visible while his jacket on the show are hidden, but that should not be a big deal for most people and is overall a minor discrepancy that would be unnoticed by most. No, Red does not wear Converse Chuck Taylors or Vans, Red wears a practical yet stylish dress shoe. I have not been able to track down the exact shoes Red wears on the show. After doing research, I have learned many believe they are called Ferragamo Stream in Auburn deer, but I have been unable to verify this or find this shoe sold online. I have however, found a close match with the Bostonian Wendell Oxford​. ​His shoes are not a main focus point in his overall style in my opinion. So, I think you are safe to go with most brown dress shoes, but if you want to get as close as you can to what Red wears on the show, I say go with the Bostonian Oxford’s. Other than Red’s sunglasses and fedora, his most notable accessory would have to be his watch. Red wears a GMT Master II made by Rolex. ​This is a very expensive accessory, but I thought I should show you where to get the real thing. For most of us the SO&CO Yacht club watch is a much more realistic option. This watch looks very close to the watch he wears on the show and would make an excellent addition to your Raymond Reddington outfit. Red’s signature glasses are one of my favorite parts of the Raymond Reddington outfit. They have gold frames with cognac lenses. You can find the exact same glasses available on Amazon and sold by SunglassesRave. ​If you are doing a Raymond Reddington costume, I highly suggest you include these because - like the Fedora - it is a key piece to his outfit. If you would rather use a pair of your own glasses, make sure they have cognac lenses, otherwise they will just not look right and you would be better off without them. 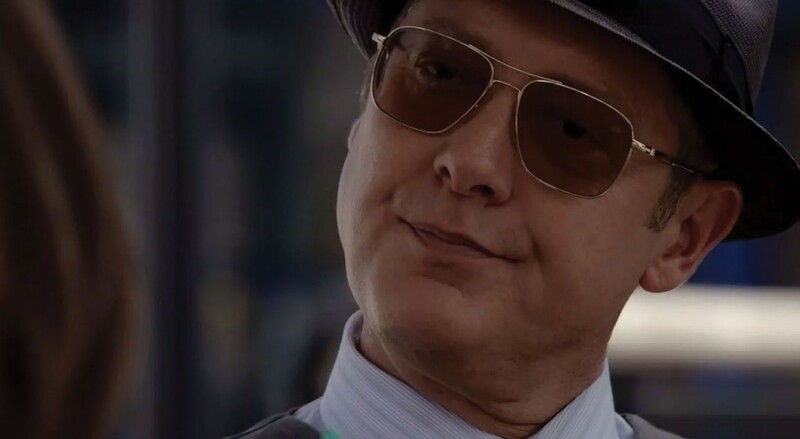 While researching what kind of hat Red wears, I found that the idea of the fedora was actually James Spader’s idea. He thought the hat would go well with the character and I have to agree. If you want to include Reddingtons fedora, there is an exact replica available on Amazon​. 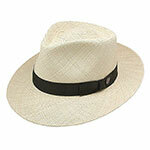 I was also able to find a close match to his grey fedora sold by Belfry Hats.